Discover a lightweight electric wheelchair you can transport with ease. 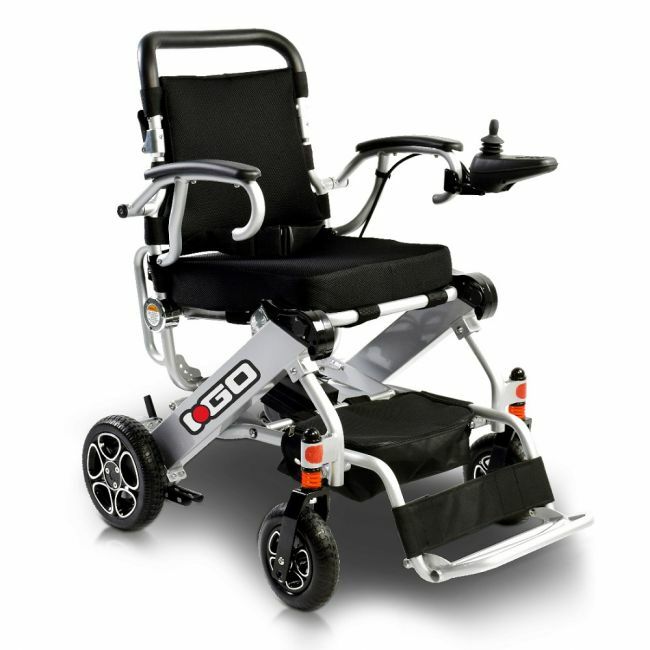 The I-Go electric wheelchair from Pride Mobility Products® Ltd is designed with travel and portability in mind. The unique space-saving design enables it to be transported with ease. It comes packed with features you might expect to find on a larger powerchair, including built-in front suspension to soak up bumps, a durable padded seat for maximum comfort and support, and lots of storage for personal belongings. The I-Go is the perfect choice for the active individual.